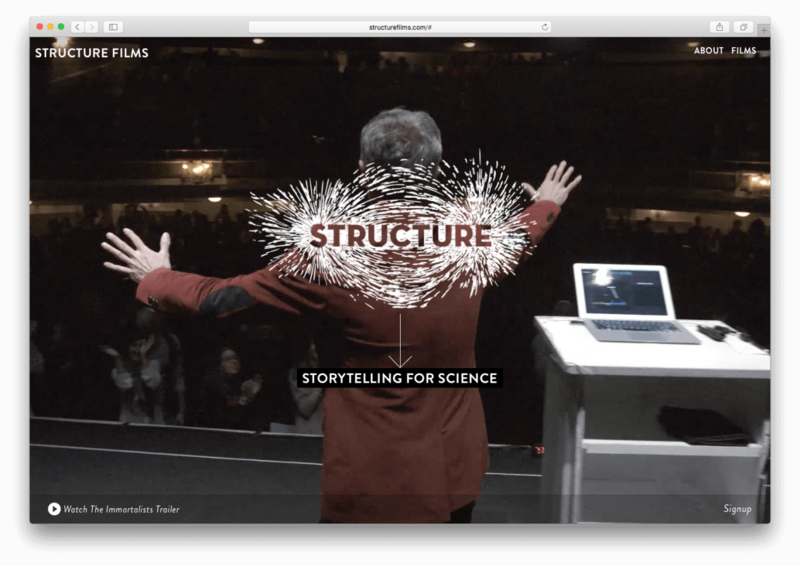 Graphic Design & Web Development Projects Tagged "Structure Films"
Structure Film’s “sly documentary” [New York Times] looks at two Scientists that aim to extend life. The film’s webspace served information about the feature’s press reception, upcoming screenings, and supplementary educational materials. Structure Films approached me to design their visual identity and home webspace. 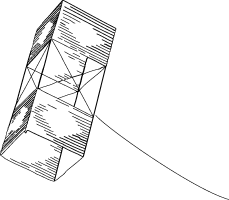 Jason and David were interested in using a model of electromagnetism as the basis of their logo to reinforce their science-in-film mission. 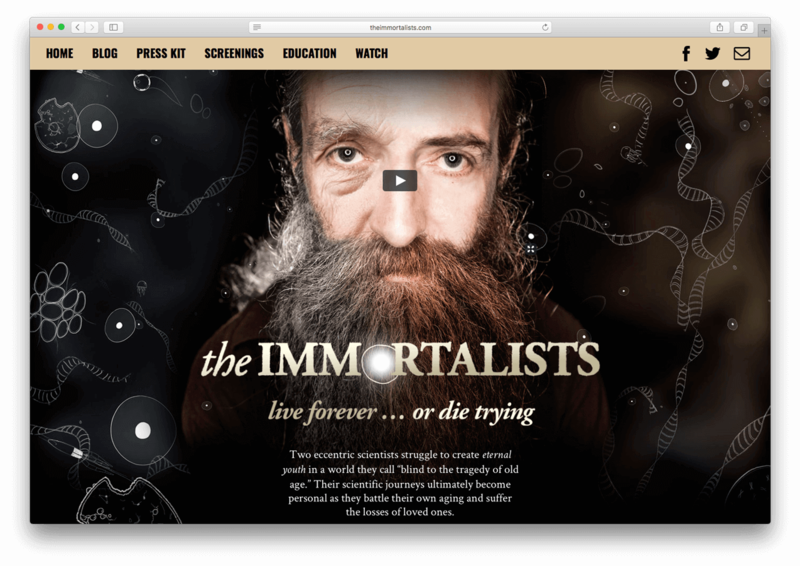 We put together a dynamic, WordPress site that uses video, full width elements, and tall, scrolling pages to engage the visitor. 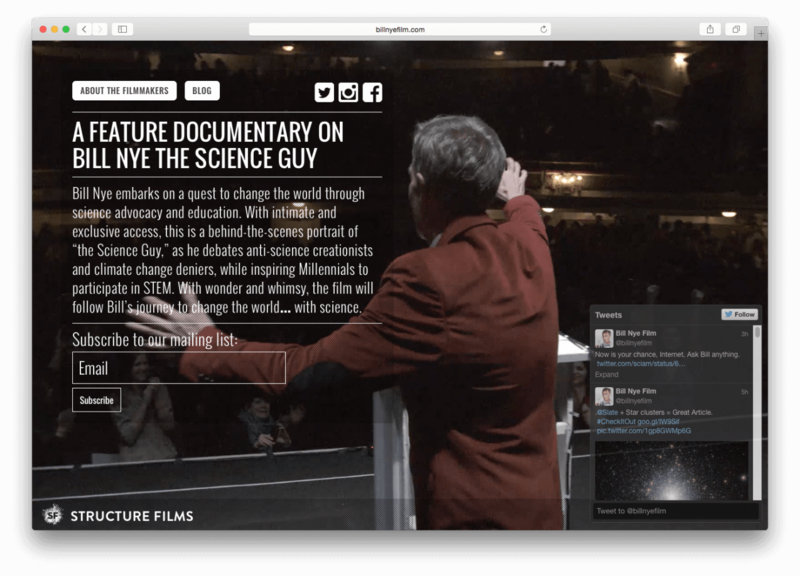 Structure Films raised $859,425 through Kickstarter for their Bill Nye Film project, setting a record for the most-funded documentary on the crowdfunding site. For the campaign, I developed graphics based on the quirky segments and 90’s-era graphics in Nye’s original PBS/Disney TV show. We were able to tap into a generational nostalgia for Nye’s science-education enthusiasm and blow way past their $650,000 goal. Science Rules! Structure Films tasked me with building a small landing page for their project in development. That page has since grown a bit into the Bill Nye Film home and our work together spilled into a Kickstarter campaign, complete with gifs, infographics, and rewards designs.